Where Can I Find My Twitter Conversion Tracking Pixel? You will need your Twitter Conversion Tracking Pixel to accurately track how well your Twitter ads are performing. To find your Twitter Conversion Tracking Pixel follow the steps below. 2. Click on "Tools" in the top navigation. 3. Click on "Conversion tracking". 4. Click "Create new conversion event". 6. Select "Sign up" from the "Select the type of conversion" drop down. 7. 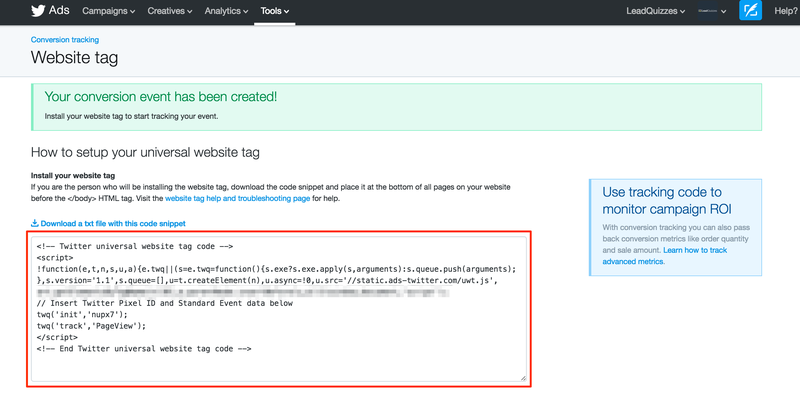 Click "Use a universal website tag"
8. 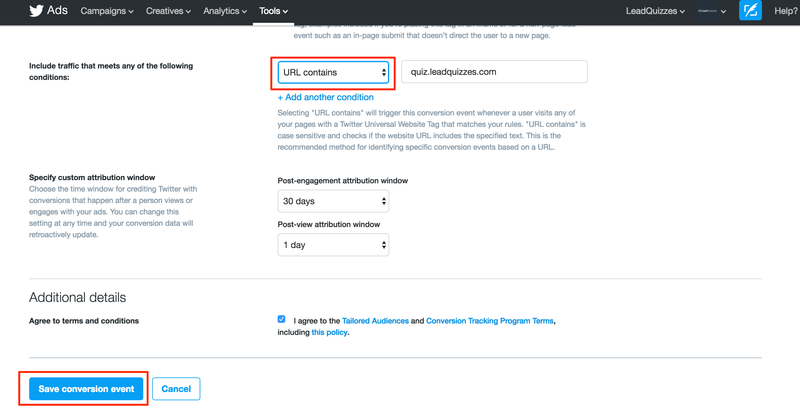 Under "Include traffic that meets any of the following conditions:" change the drop down to "URL Contains" and paste in the link to the quiz you will be running ads to. 9. 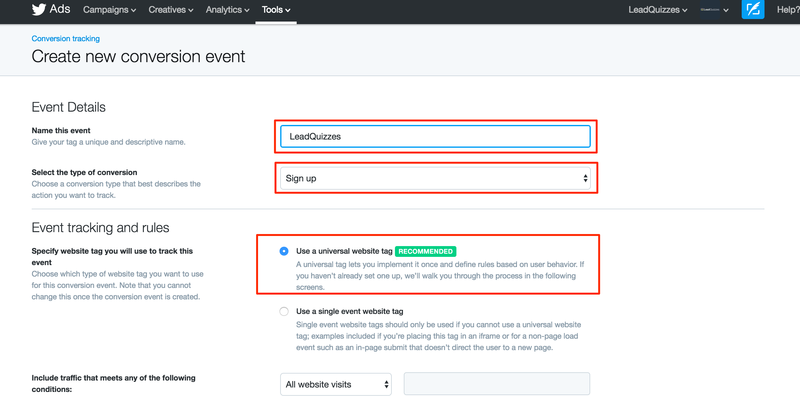 Click "Save conversion event"
10. Copy and paste the code that is displayed into LeadQuizzes.